Little Alchemy 2 is the follow up to the original Little Alchemy, but now game developer Jakub Koziol has upped the ante by adding a new library and an encyclopedia with item descriptions. The goal is still the same though, combine items and create something new. There are 661 items to uncover so you’ll be playing this a while. The goal is to get all the permutations by mixing various base elements. You start with earth, fire, water, and air – combining them produces various kinds of elements. Add fire and water and you get steam. You can also combine fire and earth to get a brick. From that brick, you can make a home and a village and so on. All the items you create are placed in the encyclopedia, and your objective is to get the entire collection. The game’s simplicity is evident from the interface, with one side for experiments and the other for the materials you’ve uncovered. The game is challenging yes, but a systematic approach allows you to combine the different materials and maintain a list. If you unlock new materials, try to combine it with itself to see if anything happens. If it works, keep combining the material with itself until it is no longer possible. You should also check the element’s entry in the encyclopedia for clues. 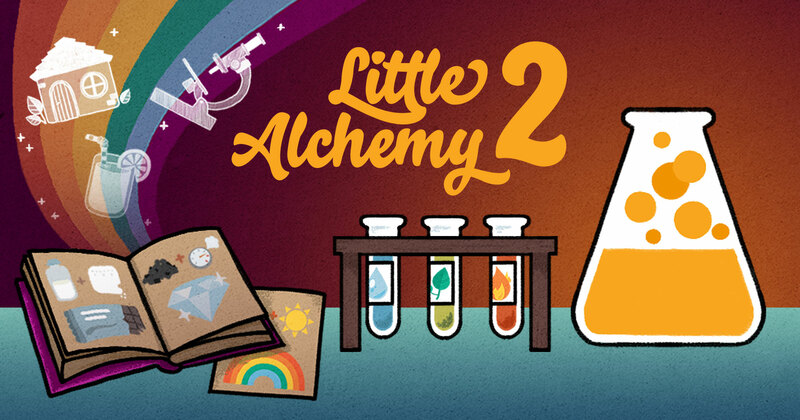 Little Alchemy 2 is not just for single player action but also good for playing with a friend. In fact, that could save you some time and help you finish the game faster.